Initial tests showed high levels in tap water in some vacant New York City apartments, but the agency only disclosed the most positive results, documents show. 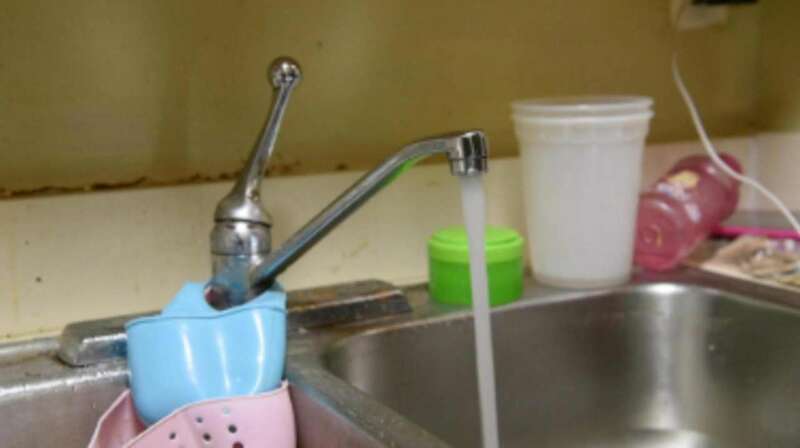 Testing conducted in 175 vacant New York City Housing Authority apartments three years ago found potentially harmful levels of lead in tap water in as many as 25 of them. The letter was signed by the then-heads of the Authority and the city’s health and environmental protection departments. 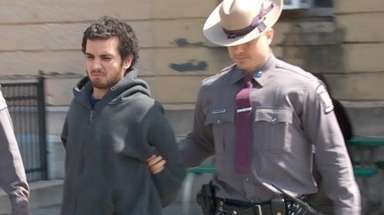 For more on this story watch the News 12 report. Those who moved into the vacant apartments were not told of the test results, according to two families who moved in with small children. One of the tenants, Terisa Guy-Mayweather, has two small children and is expecting a third. The letter continued a pattern of downplaying and hiding health risks, including deteriorating lead paint, in the Authority’s 175,000 apartments that has erupted into scandal. It kept information from tenants that would have helped them decide how to deal with the potential dangers, including who is most at risk from lead in water and the various ways to prevent exposure. Newsday completed its own series of tests recently in seven occupied apartments in some of the Authority’s largest Brooklyn and Bronx developments built in the '50s and '60s. Three of those tests also found potentially harmful levels of lead. For most people, the levels of lead detected in the city’s and Newsday’s tests do not raise health concerns. Studies show the levels detected would not put most people at risk, and the city’s vacant apartment testing was done under worst-case scenarios — water had been dormant in the apartment pipes for extended periods, increasing the chance of lead leaching into it. But lead can be potentially harmful at any level for some populations. 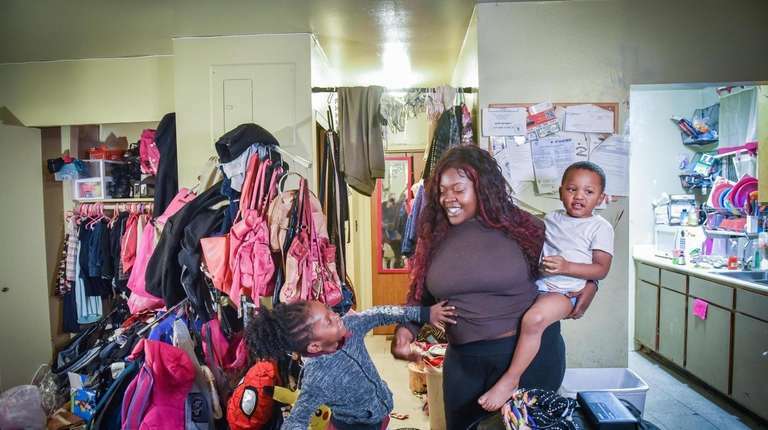 Those most vulnerable are formula-fed infants, pregnant mothers and other young children exposed to additional sources of lead such as the lead paint chips and dust found in several Authority apartments. Exposure can impair a child’s development, causing lower IQ, hyperactivity, slowed growth and hearing problems. The former department heads who signed the letter did not respond to calls and emails seeking comment for this story, and a spokeswoman for Mayor Bill de Blasio said the Authority employees who worked on the testing are also no longer employed by the city. The city’s senior adviser for citywide lead prevention, Kathryn Garcia, who also heads the city’s sanitation department, said she might have worded the letter differently. “Will the city's communications be better in the future? Yes. That would be my goal,” Garcia said. City officials said the vacant apartment testing was undertaken in response to questions raised by tenants after it was revealed in March 2016 that the U.S. attorney’s office for New York’s Southern District was investigating the Authority’s handling of lead paint risks. That investigation found the Authority broke the law by not maintaining safe and healthy apartments and making “untrue representations” to federal officials about whether it inspected for and remediated lead paint problems. After an earlier proposed settlement of a federal lawsuit based on the findings was rejected as inadequate by a U.S. District Court judge, a new agreement was reached between the city and federal housing officials last week. It installs a Washington-appointed monitor to oversee the system, commits the city to contribute $2.2 billion over a decade and requires the Authority to meet various remediation deadlines, including for lead paint. Amid the furor over the investigation, de Blasio’s administration announced plans to inspect 135,000 Authority apartments that may have lead paint hazards. He also announced plans for stricter enforcement of lead paint laws in apartments and programs for identifying and removing lead service lines connecting water mains to properties. Just after the federal investigation became public, former Authority chairwoman Shola Olatoye testified about the vacant apartment water test results before the City Council, reporting that 13 of them showed elevated lead levels. Those tests exceeded by as much as 83 times the lead standard most commonly used by regulators, but the city did not disclose them in the letter to tenants. Instead, the letter referred to tests that produced far better results. The tests Olatoye noted to the City Council followed the regulators’ standard procedure by sampling water immediately after faucets have been turned on, as someone might do after a night’s sleep or even lengthier periods of nonuse. In the tests disclosed in the letter, the taps were run for one minute before being sampled, a procedure that would flush out lead. Only one of those tests exceeded the commonly used standard. One of seven tests conducted by Newsday using the regulator’s method also exceeded the standard. Olatoye told the City Council the 13 apartments with elevated levels would be retested to determine if any plumbing needed to be replaced, but city officials did not respond to several queries about whether any remediation had occurred. If the taps were in schools, state law would require they be shut off and any lead source removed before being retested. The city distributed its letter to the Authority’s more than 400,000 residents two months after the City Council hearing. The letter was signed by Olatoye, former Department of Environmental Protection Commissioner Emily Lloyd and former Department of Health and Mental Hygiene Commissioner Dr. Mary T. Bassett. New York City officials sent this letter to public housing residents. Six of the letter’s nine paragraphs were dedicated to the high quality of the city’s source water, its water treatment and the plumbing of Authority buildings. It concluded that “there is a relatively small chance of lead entering tap water after sitting in pipes and faucets for extended periods of time” — even though a Newsday review of citywide testing data shows nearly a third of all taps emit at least some small amount of lead after at least six hours of nonuse. Federal officials say any lead exposure can be potentially harmful. Information experts said that what should have been immediately emphasized was not reported, including which populations are most vulnerable to lead and the harm it can cause. Only in the letter’s penultimate paragraph was there a passing mention of just one of the commonly shared prevention measures — flushing taps, which the city’s testing showed virtually eliminated lead. For more information, the letter directed readers to the website of the DEP, which under federal regulation is required to share details in its annual report on city water quality that were absent in the letter. The department’s home page does not link directly to this or any other information about lead in water. 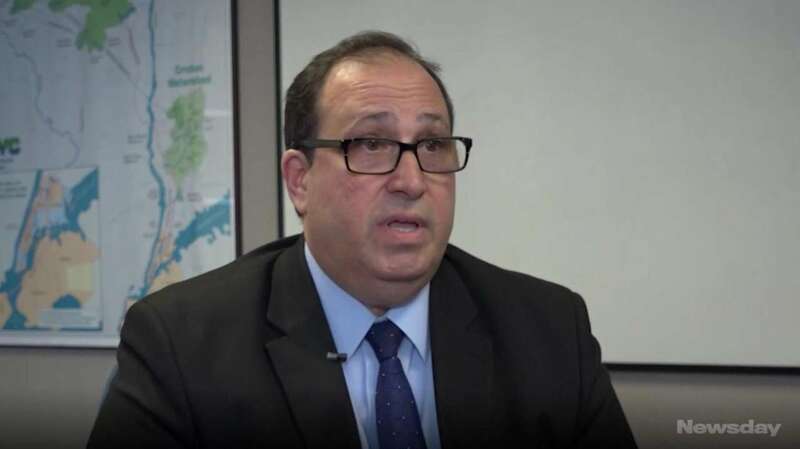 DEP Commissioner Vincent Sapienza said the report is mentioned in Authority newsletters and that mothers are informed of lead dangers after giving birth. "I think we have done a good job of getting that message out there,” Sapienza said. “Could we have been more specific? Sure." 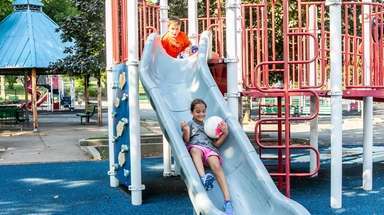 Tom Neltner, the chemicals policy director at the Environmental Defense Fund, said not including the full results of the tests stripped parents of their ability to decide how to protect their children. Three other lead poisoning prevention experts, including Naidenko, told Newsday the letter should have better communicated important information, including the more concerning test results. Mary Jean Brown, who served as chief of the lead poisoning prevention bureau at the U.S. Centers for Disease Control and Prevention from 2003 to 2016, said the city should have put prevention information in the letter’s first paragraph. Garcia, the city’s senior lead adviser, said she believed those drafting the letter wanted to avoid unnecessarily worrying residents. But, she added, “I’m not sure I would have phrased the letter exactly the way that they did.” Prevention information should come “front and center” in the city’s lead danger communications, she said. While incidents of lead poisoning have declined dramatically since the city passed a stringent lead paint law in 2004, there were still 1,691 poisoning cases involving Authority children between 2010 and June 2018, city data shows. In contrast to lead in soil, paint or blood, there is no health-based federal limit for lead in tap water. The U.S. Environmental Protection Agency requires water utilities to keep levels below 15 parts per billion parts of water in at least 90 percent of their most vulnerable homes. That standard, however, is based on what a utility can achieve through its efforts to control corrosion. It is not a measure of what level is considered safe, since the EPA holds that any level can be harmful. New York City’s water system consistently meets the EPA standard, with only 5 percent of its required tests exceeding 15 parts per billion, according to its most recent water quality report. As part of an update to its regulations by February 2020, the EPA is expected to release a health-based standard. The U.S. Food and Drug Administration limits lead in bottled water to a standard of 5 parts per billion, one of several stricter standards researchers have called for and some governments have adopted. The 13 elevated results Olatoye disclosed to the City Council exceeded the 15 parts per billion standard, as did one tap that retested high a month later — another fact not disclosed in the city’s letter to tenants. After flushing the taps for one minute, only one of the 175 vacant apartments initially exceeded it and none did in retests a month later. Using the FDA’s 5 parts per billion standard, the water tested immediately out of the tap exceeded the limit in 25 of the vacant apartments — one out of seven tested. Four of the city’s 13 retests also exceeded that standard. The city’s letter also mentioned another set of tests performed by Authority residents themselves through a free at-home testing program available to city residents. None of the first water drawn for the 131 testing kits exceeded 15 parts per billion. Three came back above 5 parts per billion. 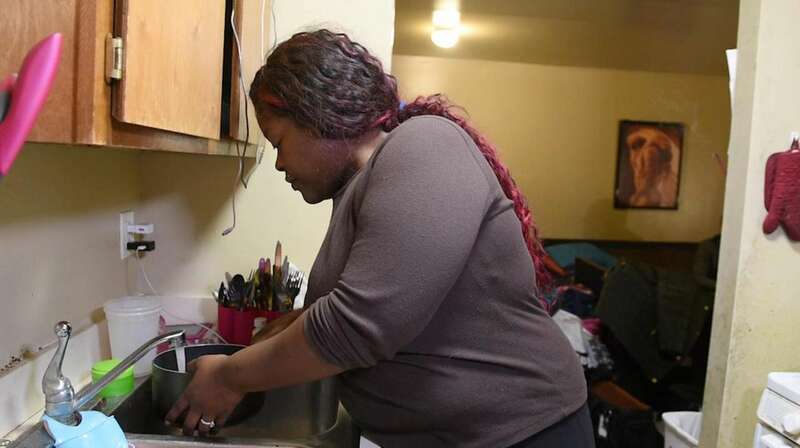 However, the data, which covers a period from February 2010 to October 2018, depends on all of an apartment’s taps remaining off for at least six hours, something Newsday found was particularly challenging for tenants during its tests. The data also doesn’t indicate how many of the tests were conducted multiple times on the same taps. In the Newsday tests of water coming straight out of the tap, one exceeded 15 parts per billion and three tested above the stricter FDA standard. 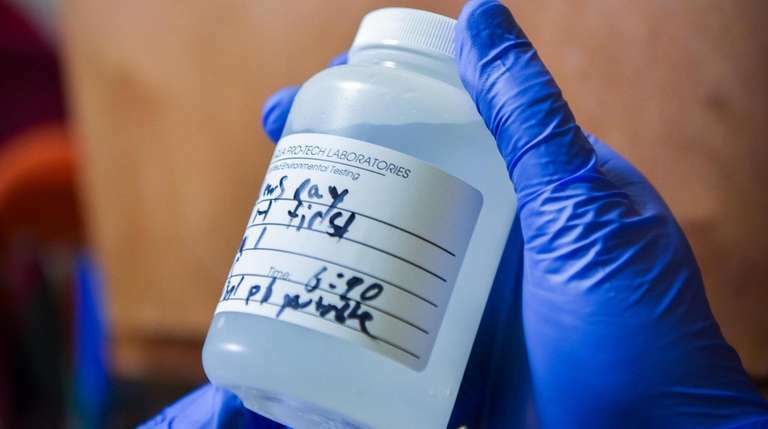 Those who volunteered to have Newsday test their water were given all the test results, along with information about the dangers of lead in water and preventive measures. The two families Newsday reached who moved into the vacant apartments exceeding the EPA standard did so just weeks after the apartments were tested. Both have small children who are not formula-fed. Both said Authority officials never told them about the tests before or after moving in. Newsday retested taps in both apartments. No lead was detected in one. The other test — of a rusty kitchen faucet in Guy-Mayweather’s Brooklyn apartment — found 3.7 parts per billion, suggesting there was still a source of lead affecting the tap. 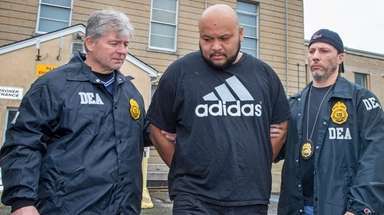 An Authority spokeswoman said the agency is examining all results again, has contacted two of the families involved in Newsday’s series of tests, and will take corrective action as needed. The city’s first test of Guy-Mayweather’s tap three years ago found a lead level of 947 parts per billion, but a retest one month later found no detectable lead. Guy-Mayweather, who is pregnant and has children ages 4 and 6, said she is concerned about even a small risk of harm to her kids. “They really need to up their game and better protect the residents,” Guy-Mayweather said of the Authority. Water systems, including the dozens on Long Island, are required to collect samples for regular monitoring by the U.S. Environmental Protection Agency. The recent water scandals in Flint, Michigan, and Newark, New Jersey, stem from utilities exceeding the EPA’s action level, which flags systems where more than 10 percent of tests show more than 15 parts of lead per billion parts of water. The last time a water system serving at least 1,000 people on Long Island exceeded the EPA’s action level was in 2009, when 10 percent of samples in the Village of Williston Park were at or above 23 parts per billion. According to state health department spokeswoman Erin Silk, the village was required to mail notices to residents and adjust the acidity of its water to prevent corrosion. The village has not exceeded the level since. Lead can leach into water even from newer faucets, as well as lead solder used as recently as the 1980s to connect pipes. High levels are most commonly caused by lead service lines, which connected primarily single-family houses to water mains before being banned in New York City in 1961 and nationally in 1986. Children and pregnant women are most at risk of harm from lead exposure. Formula-fed infants are most at risk from lead in water. Adults with kidney problems or high blood pressure can also be affected more than healthy adults. Only a blood test can reveal exposure. The most common source of harmful lead exposure is from the chips and dust of deteriorating lead paint, but harm can also be caused by drinking or cooking with water that contains lead, ingesting soil with lead in it, and from contact with many often-imported consumer products, including makeup, toys and candy. Adults can inadvertently expose children if they don’t clean properly after working in high-lead activities, including renovating buildings and automotive repair. Warm water dissolves lead more easily and should not be used for cooking, drinking or preparing formula. Boiling water does not remove lead. The risk of exposure to lead in water can be reduced by replacing any leaded plumbing. Water filters certified to remove lead can be effective if used for both drinking and cooking, as food can absorb lead in water. Flushing taps after hours of nonuse until they are as cold as they will get can flush out accumulated lead, and a water test can reveal how long a flush, if any, is necessary. City residents may receive a free water testing kit by calling 311, while other New Yorkers can receive a free test through a state health department pilot program by calling (518) 402-7650.